Publix shoppers! 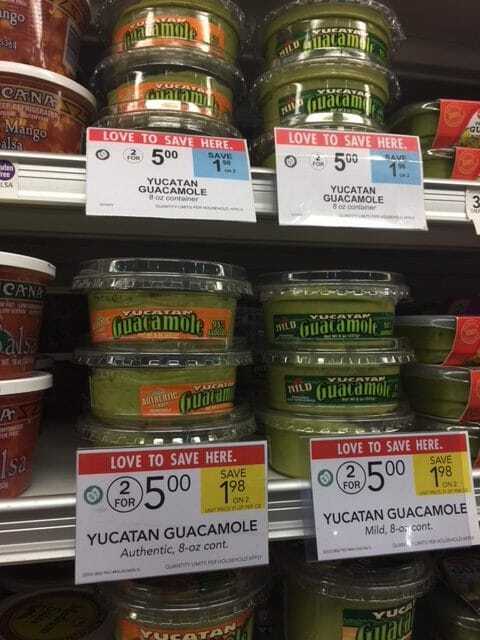 Head to Publix this week with this $2 off any Yucatan guacamole coupon for $.50 containers of Yucatan Guacamole! When is the Yucatan sale exactly? ending today 8/7/18 or beginning 8/8/18? thank you! The sign didn’t have a date. It’s so hard to know with Publix, sometimes sales like this one go for weeks or just a week. So, I’d play it safe and assume it’s through 8/8, but it could go longer.